Reacting to this, soccer authorities have ordered that all 8 men undergo gender testing to determine their levels of testosterone. 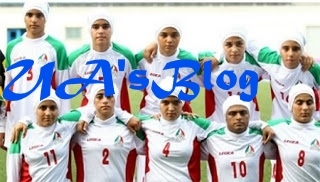 This isn’t the first time the Iranian women’s team has fielded men. There were rumors that the players were men in 2011 and random gender checks in 2014 revealed some of the supposed women were men. The problem is complicated by the Iranian culture which prohibits women from traveling unless they are given permission by their husbands or fathers. For example, Niloufar Ardalan who was recently prevented from accompanying the soccer team to a game in Malaysia because her husband would not allow her to travel.